Do you want to keep your children’s head comfortable while he or she is sleeping in their car seat? Our Car Seat Head Support For Kids allows children to sleep comfortably and securely when on the go. It is helpful for parents, as it frees them from having to worry about their sleeping child’s head while they are driving and allows them to focus completely on the road, without distraction. Perfect Head Protection: Greatly prevents your baby’s head from bumps or hitting the protrusion on the seat when sleeping without mom’s arms in a car or stroller travel. Comfortable & Breathable: Made of cotton, creates a breathable cushion band between the seat and your head, which is cozy and healthy for head to touch directly. Adjustable & Slip-proof: Adjustable Stretch Straps make Luchild head support suitable for different kids’ and adults’ head size and fix it with the car seat or stroller to avoid falling off. Universal Fit: Applying to any car seats, pram strollers, baby booster seats, etc. Owning this, your baby will relax and enjoy the travel time for longer. 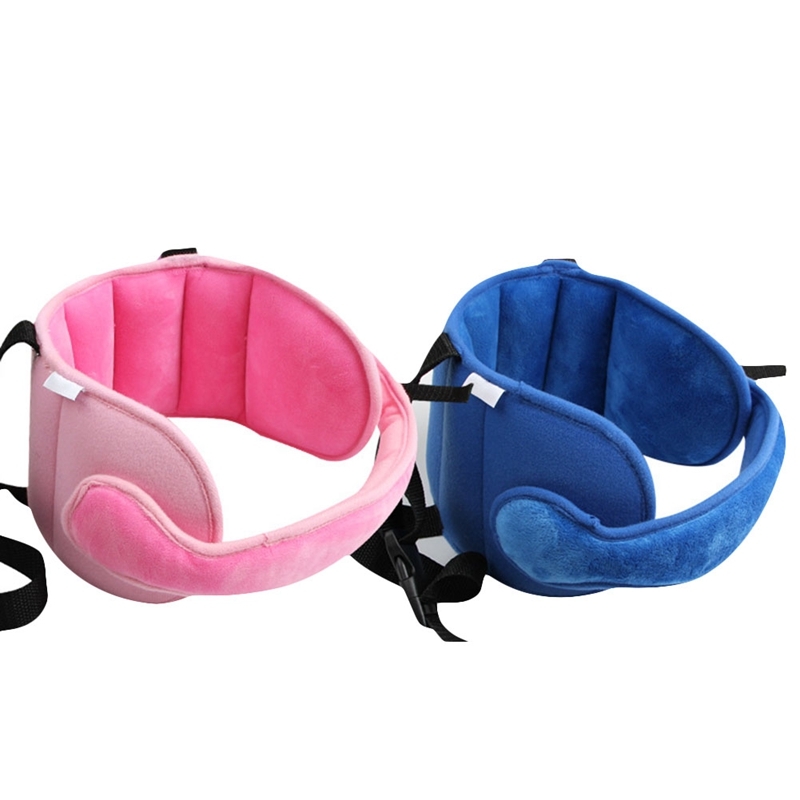 Great Gift for You: A nice present for moms and babies as packed in a gift box, and best choice for you and your friends to relieve neck and protect head. This product is a dream come true for me! I always felt horrible while driving, and my daughter sleeping with her head falling. I've been using for a couple of weeks now and it is a total hit. It has helped so much!!! Her head does slouch here and there, but never comes out of the harness. I tried this and the competitor—NapUp. This is by far the winner in my book! Complete adjustability—the front piece has a velcro attachment and comes completely off—you can place it at angle angle you choose. The NapUp was far less adjustable and awkward. This product is a lifesaver. The fabric is unbelievably soft—the NapUp fabric was not very soft at all. And this costs half the price! Hands down the winner! I usually don't write reviews, but that product is better than I expected. The fabric is very soft, you can adjusted it to the size of your kids head. Wonderful product. It looks robust and good quality, recommended, we will try it and later i will leave more comments. Very good! Soft and super practical install! I think the headband support does help and prevent my toddler’s head keep flopping forward when he falls asleep in the car. I tried this very first time today and it didn’t bother him. The material and cushion is soft and comfortable. However, as a parent, I’m concerned and I’m not sure whether these headband met the safety standard or not.